All YEOWWW! 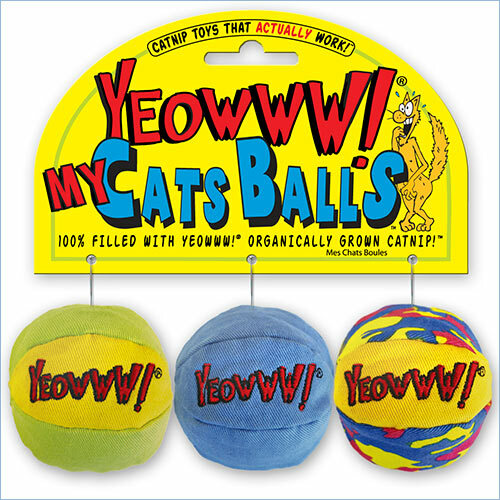 toys are stuffed full of only 100% organically grown American catnip, (no cotton or polyester fillings). That’s why cats come back to their Yeowww! toys time and again. The ball's outer is made from heavy duty cotton, to withstand the most vigorous of pounding and pummelling! The designs are coloured using only natural vegetable or soy based colours. Safe, catnip-filled fun, in bright quirky designs. 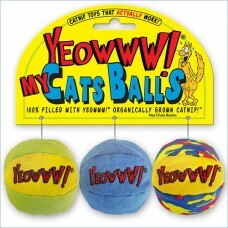 Catnip Toys that Really Work!